Have you ever Rped Bleach before? (Describe briefly) : Yes. Mostly one on one or in small groups. What is Hantarou's Bankai ? : He hasn't achieved it yet. Personality (Basic description) : Outwardly, Satori displays a mixture of polite discipline and compassion. These qualities, which she attributes most to Unohana-taichou, would be more considered her ideal. A naturally shy nature makes this more difficult to pull off, especially as she usually ends coming across as nervous. While she is used to common displays of formality and courtesy, she has become adjusted to being treated as an inferior based on her division. Since the incident early at the infirmary, she found herself determined to base her opinions of others on observation, even if she still falls back on generalizations sometimes. Overall, she presents herself to most of Seireitei as what would be expected of any individual from division 4; calm, reserved, shy, and nervous. A less seen side of her, one that displays when provoked or in a comfortable environment, includes a more emotionally-driven and playful nature. While she is not quick to anger, frustration and annoyance are more likely to be shown in these situations. With those closest to her, she expects the same sense of discipline and formality that is necessary for the context of a situation. Alert to the feelings of others, she takes care in choosing her words so as not to offend, in most situations. This leads to what appears as two personalities, one reserved for the outside world and one for those on the ‘inside.’ This follows along the blend of the two personality sets that make up her blood type (AB). One aspect about her personality that leads her to the most trouble is her curiosity. This nature has often led her to eavesdrop while performing her duties (whether medical or cleaning), which has often led her to learning information not normally given to lower-ranking shinigami. While it is only a small glimpse into any given situation, it tends to cause an embarrassing moment for her when she finds herself discussing such a matter. This curiosity extends to a fascination with the human world, something that developed after listening to the stories of comrades who had been assigned there. Most importantly, she has developed a fascination for human medicine. A slightly stranger side to her, this fascination has led to a desire to ‘collect’ the tools of this trade whenever possible. Physical Appearance : A young-for-shinigami girl with a slim built body, Satori has shoulder blade length black hair that is commonly tied back into a ponytail and half-formaly clipped up. With an average appearance for Seireitei, the most notable thing about her would be her navy blue eyes. This, obviously, isn’t even all that special when compared to the other characters. Overall, she’s average enough that she doesn’t draw attention to herself in a crowd. Obviously, she wears the traditional shinigami uniform and, while in Seireitei, often doesn’t even carry her zanpakutoh. History/ Biography : A young shinigami several years out of the academy with no significant rank at the moment. She's just recently accomplished her shikai, a fire type better suited to healing than combat. Her past, for the most part, is unremarkable. Growing up in a calmer village of Rukongai, she knows the difficulty of obtaining a chance to enter the academy, but by far is less aware of the true suffering many others endured. Showing a weakness for swordsmanship and battle in the academy, she was selected quickly for the 4th division when demonstrating a higher skill level in healing. Her handle of kidou, while significantly better than her swordsmanship, still does not lend her to be a huge asset in battle. The most notable incident in her history would include one of her early assignments in the infirmary. After receiving report on a young shinigami of division 11, just recently accepted, she worked with a higher ranking individual to tend to his wounds. Having listened to others discuss the differences of the divisions, she had convinced herself that division 11 would be, by far, the worst to deal with. Even with the generalizations and stereotypes she’d learned of this division, she’d find herself utterly surprised at the severity of the boy’s injuries. He had, after all, merely been competing for his place within the division. While he entered in a state of stupor, something attributed to the severity of his injuries, he left the girl with a deep sense of concern. The kindness he showed, once he had recovered enough, would be enough to cause her to question her own acceptance of the “breakdown” of each division. It would, indeed, cause her to rely more on her own observation (as much as possible) than the generalizations and rumors circulating Seireitei. This would especially concern the 'rank' he had been attributed, something the entirety of Seireitei seemed to be talking about. “Weakest in power, the lowest ranking member of division 11.” Even a few of her comrades had been snickering about such a disgrace; something that was quickly to be addressed by Unohana-taichou herself. Despite the chastising they'd received, there would still be those who would treat the boy differently due to his seeming defeat. To her eyes, however, it was the same treatment they hated receiving from the other divisions. That alongside such a small glimpse of the boy's nature would peak her curiosity. Indeed, something was different about him, but was it really due to lack of strength? Zanpakutoh [Shinigami, Arrancar] (Include possible shikai to be obtained) : Unreleased, Satori’s zanpakutoh appears to be a normal wakizashi. The tsuka is covered with a deep red shade of the Japanese rope and made of the traditional ray skin grip. Embedded beneath the rope is a gold colored menuki in the shape of the Rod of Asclepius. The blade style is shobu-zukuri, which is similar to the traditional blade of the tanto. The saya is of the same color as the tsuka. The decoration on the tsuba is a delicately carved pheonix. The shikai, which was recently learned, is released by the command “Moeagaru” (“burst into flames”) and calling the zanpakutoh’s name “Chiyukaji” (“healing fire”). Upon release, the blade shortens to the size of the standard tanto, the blade style remaining the same. The blade itself will glow brightly from the heat emitted, which is useful for wound cauterizing. While the heat of the blade provides an offensive ability, it would only be useful at close range due to the size of the blade itself. The once quiet infirmary was sure to become an absolute mad-house. In the least, this was the impression being given to all those of division four this morning. Standing amongst the ranks of her comrades, her dark eyes would widen as the situation was presented to them. So, the alarm that had sounded earlier and resulting meetings of the high ranking officials had, indeed, carried along the ladder to them. “ Ryoka? “ A low whisper would convey just a hint of the state of shock she was feeling. How could Ryoka break through Seireitei’s defenses? Such questions would go unanswered, especially as no one had the time to dare ask them. While not entirely odd for their division to be addressed by Unohana-taichou herself, it did dictate the severity of the situation. They were already receiving word that members of other divisions had been wounded. Surely they weren’t dealing with ‘simple’ Ryoka, as these were reported to have some form of power. Enough power to literally drop through the barrier of Seireitei and cause damage, it seemed. She had barely noticed Unohana-taichou take her leave, followed closely behind by Isane-fukutaichou. A quick glance of those around her would reveal facial expressions similar to her own. Everyone appeared nervous, but no one dared to whisper amongst themselves while being divided into their assignments. This was, essentially, a time of war and undue stress upon every individual of Seireitei. It was simply unfortunate for those who were fresh out of the academy. They would be forced to adapt quickly to the division and develop a mastery of the necessary skills just as quickly. Luckily, she’d had some time to develop basic level healing skills, though not yet enough to earn her any significant rank. As the blond-headed officer passed her by, she’d just barely hear his orders through the sense of confusion and concern. ‘ Akogare, you’ll report to the infirmary. ‘ “ Wakarimashita. “ Nodding quickly, she’d bow politely before taking her leave with the rest who had received their orders. So, she wasn’t among those assigned to various other divisions for field relief. In a sense, it wasn’t so bad. At least she wouldn’t be forced into a combat situation at the infirmary. Like this one, YOU MUST FILL OUT EVERYTHING. Do not put in 'see other app for sample post', you must in a sample post for EVERY character you apply for. And when creating a character, you need to research on them in what they do. If its a shinigami, make a name for their zanpakuto, its release comand and what its does... they have to relate in some way. 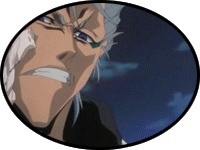 And you can also begin to make a possible bankai for later. Please don't make it too close like someone else's or one in the show. For an arrancar, be creative with their true form and zanpakuto, make fun and not like a school assignment... me, I like to do thing like this. Vizards just have the mask thats different, we don't see their zanpakuto being released much... but they do have them and can be used. XD I really appreciate your help! I didn't think it'd have to be spelled out like that, but hopefully it'll get the message across. We had other excellent applications, too, but James insisted on using this one. I think Ginny's application for Rukia, Jordan's for Nanao or Orihime, or any of Ryan's would have also been great examples.